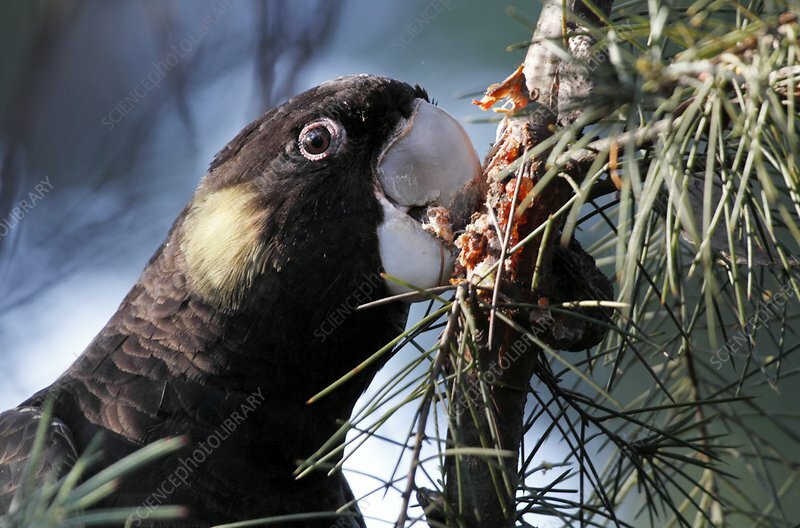 Yellow-tailed black cockatoo (Calyptorhynchus funereus) chewing through the bark of a tree. This species is native to southern Australia. Its diet is mostly made up of wood-boring grubs.